Probably the most complete multi-nutrient formulation ever for men. 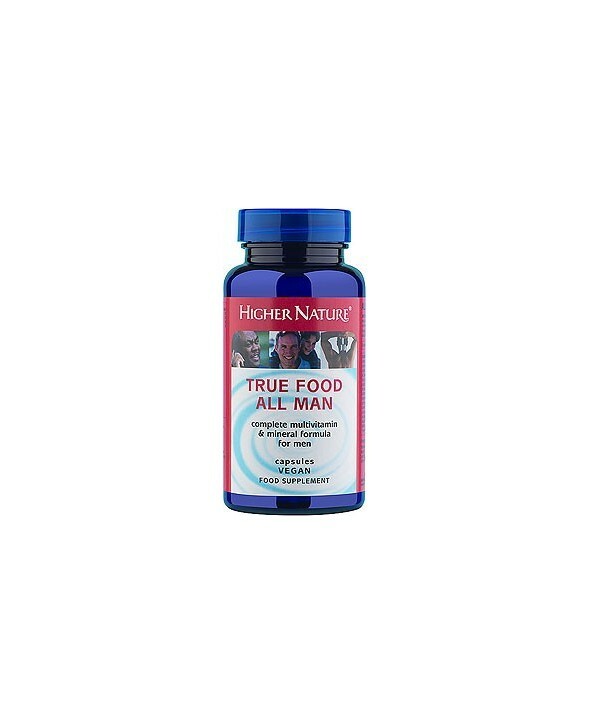 True Food® All Man provides a complete spectrum of bio-transformed vitamins and essential minerals. 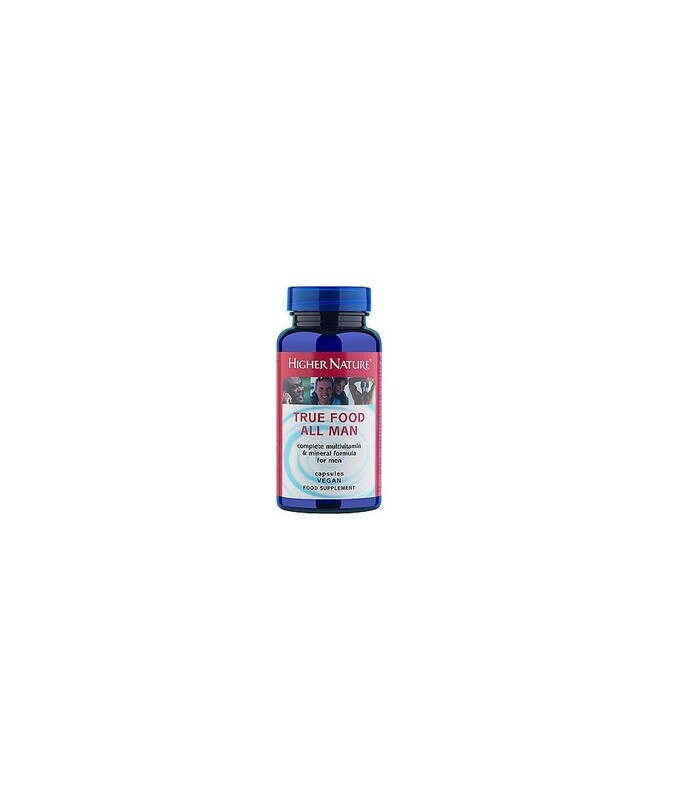 In addition, each formula provides key antioxidants, brain foods, amino acids and other nutrients, plus a hardy probiotic for digestive wellbeing. Ideal for life in the fast lane, where the nutritional value of food may be inadequate for our needs. Size options: 30 caps, 90 caps and 180 caps. Suggested intake: 3 capsules a day, with or between meals (adults), or as your health professional advises. Do not exceed recommended daily intake. Food supplements should not be used as a substitute for a varied and balanced diet and a healthy lifestyle. Not tested on animals. Store in a cool, dry place, out of reach of children.